Is Your Dog Suffering From Fall Allergies? In the autumn, falling leaves and dried-out weeds release clouds of irritating particulate matter into the air, right where your dog is waiting to inhale them. As pets move indoors to escape the cold, mite allergies may develop. Dogs trap allergens in their extensive sinuses. Fur is also a natural magnet for dust and particles, which means that your dog could be covered — inside and out — in triggering pollens. Add to that a warm autumn where the fleas are still around and you have one unhappy dog. Dog allergies manifest in several ways, but the symptom most commonly recognized by owners is itching. 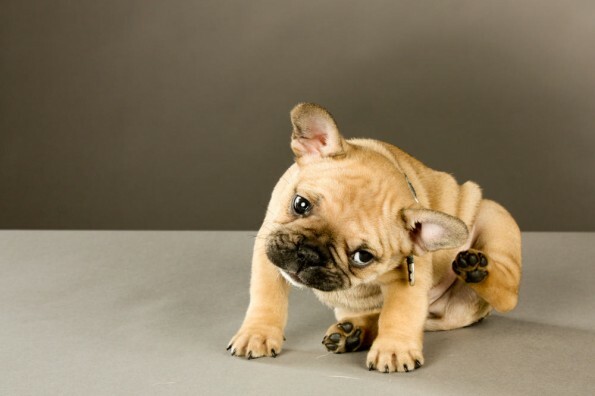 Some pets chew their feet raw, some rub their noses, and others lick their bellies until they are red. Then there are the dogs that are too busy itching to get a full nights’ sleep, yet their skin looks perfectly fine.